Not Just Doors – What Else Can a Locksmith Do? The first thing you think of when you hear the word “locksmith” is doors. You might be surprised to know that a locksmith range of abilities is bigger than you think! Here are a few things that locksmiths can also do. Window Locks – just like doors, windows can also have keyed locks on them for added security. Key Cutting – a locksmith is able to cut many, if not all types of keys available. Car Locks – locksmiths can get you into your car if you leave the keys in, but also repair the lock, reprogram remote control keys, change flat batteries or just cut another key. Security Safes – some locksmiths are able to install and repair locks and cut keys for security safes. The team at Out And About Locksmiths Canberra can do many of the above services, 24 hours a day. Contact us any time to see how we can help! http://www.outandaboutlocksmiths.com.au/wp-content/uploads/2016/05/residential-.jpg 566 849 pippa http://www.outandaboutlocksmiths.com.au/wp-content/uploads/2016/04/247-locksmith-canberra1-300x139.jpg pippa2017-12-12 09:53:342018-01-15 16:49:26Not Just Doors - What Else Can a Locksmith Do? If you live in Canberra and are in need of a locksmith, you’ve come to the right place! Out and About Locksmiths is Canberra’s finest. Here’s why. Out and About Locksmiths has been providing first class locksmith services to Canberra since 2014. We have the experience in the field to be able to know what to do, and do a quality job quickly and for a competitive price. Most people think of locksmiths as an emergency service, which is true, a lot of what we do is emergency work, but we also supply a range of other services that you may not be aware of. We can install security systems for your home, or new locks on your windows and doors. We can re-key your locks and make all your locks fit the one key for your convenience. If you don’t have spare keys, it would pay for you to get them made just in case, so if you ever misplace your keys you have a backup copy. A lot of people think that a locksmith can’t make car keys due to the transponder technology, but we actually can cut and code new car keys on the spot. We have the equipment. Our locksmiths are fully insured, and we have a 100% satisfaction guarantee on all our services. You should put our number into your phone so you have easy access to us in case of a lock related emergency – 0431 515 640. If it’s not an emergency, call us any time for an obligation free quote, or send us an email. Another advantage to choosing Out and About Locksmiths is that we’re available 24 hours a day, 7 days a week. As you can see, there are many reasons to make Out and About Locksmiths your number one locksmith. Thanks for reading! What Would We Do Without Locksmiths? Locksmiths are an important part of our society. Ideally we’d never need to call a locksmith, but sometimes keys are lost or locks need changing. The role of the locksmith is to be there in case of emergency and to be able to help with any lock and key related issues. If you have lost your keys, a locksmith can get you back into your house, and even make a new key for you. At Out and About Locksmiths, we have all the equipment necessary to complete any lock and key related task – we bring it with us when we are called out to a job. We are able to perform any lock and key related job, even making new keys for your car. If your keys are electronic, that’s not an issue – we have the technology to program a new key for your car. We are able to install new locks, cut new house keys, even set up all the locks in your house to use one key! We are renowned for our outstanding customer service and are known across Canberra to be a first rate locksmith. We are available 24/7 and get out to the job promptly. 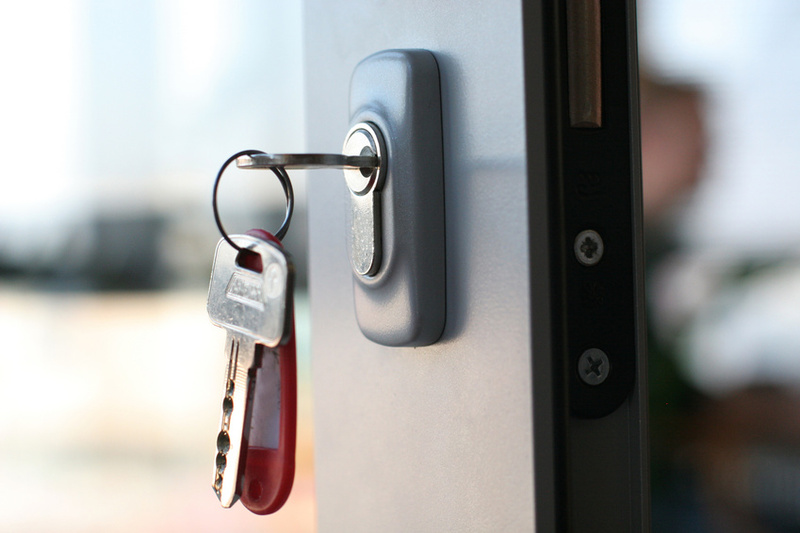 If you want A1 service, don’t hesitate to call Out and About Locksmiths. Put our number in your phone so you’ll never be caught out. In a world without locksmiths, things would get messy. Instead of a professional being able to crack a lock or make a key, you’d have to use brute force to get through a lock. This would result in a lot of broken doors – carpenters would have a sales spike! A car with no key would be useless. Let’s not go any further into this nightmarish scenario and be happy to know that Out and About Locksmiths is there for you if you need us! http://www.outandaboutlocksmiths.com.au/wp-content/uploads/2017/07/night-83641.jpeg 750 1125 agile http://www.outandaboutlocksmiths.com.au/wp-content/uploads/2016/04/247-locksmith-canberra1-300x139.jpg agile2017-07-13 10:05:582017-07-13 10:05:58What Would We Do Without Locksmiths? Locksmiths are an important service in our society. They help us get into our homes and cars when we’re locked out, make new keys when our keys are lost, and help protect our homes, valuables, and more. Can you imagine a world without locksmiths? Ever since the invention of locks, there have been locksmiths. Ideally we would never lose our keys or get locked out, but that’s not the case. People accidentally end up in situations where they need a locksmith all the time, so when that happens, we are there to help. The trade of locksmithing is a highly specialised one. We have to know locks inside and out (literally! ), and know our way around security systems and safes. A locksmith is a trusted tradesman that we all need from time to time. Locksmiths help everyone from residents to large corporations. We help set up security systems and make sure that the correct level of security is in place for your home, office, or safe. Without locksmiths, people would have to go through the difficult process of learning the techniques and buying the equipment themselves – and this would pose a security risk. If everyone knew how to crack locks, no one would be safe from intruders. Another thing is that lock technology is always evolving. Not everyone has the time and energy to stay on top of the current trends. Locksmiths are dedicated to their craft, and will always be ready to utilise the latest lock devices to ensure your home and property is safe. Here at Out and About Locksmiths, we hope you’ve enjoyed today’s blog. Stay tuned! The widely recognised BiLock high-security master key system has been improved. The Australian Lock Company has been a leader in security since 1980, and it has been the leading choice for high-security installations such as the Royal Australian Mint, international airports, Las Vegas casinos, Bank of America, military and security establishments, and industrial and civic sites. Fewer keys are needed with this system, which means lower costs for security administrators. It is recognised by the official government security advisor, the Security Construction and Equipment Committee (SCEC). The BiLock can be used for almost any lock in your organisation, including your existing lock hardware. It’s unbeatably economical. Master locksmith Mr Brian Preddey, the inventor, has devised additional 14th and 15th elements, meaning that the BiLock’s 16.8 million combinations are protected with two unique codes. Exclusive factory-allocated codes allow unprecedented key control and ultimate security. It is protected against imitation or replication by a 20-year patent. Its applications include door locks, padlocks, rim locks, switchlocks, mortise cylinder locks, cabinet locks, and more. You can easily upgrade your earlier BiLock sites to BiLock exclusive. Its lock core can quickly be changed due to the re-engineered next-generation Quick Core Change key. This drastically reduces the length of a breach due to lost keys or other incidents, and provides top security at greatly reduced maintenance and servicing costs. It comes standard with a high-tensile steel anti-drill barrier, in compliance with AS4145.2. 22 keyhead colour options are available, as well as compatibility with electronic access control systems. The keyhead colour options can be used in 8500 combinations for secure key identity. MiFare chips can be installed in the keyheads for integration into access control systems. Constant innovation and development has built a global reputation for The Australian Lock Company’s high security products. We stock BiLock here At Out and About Locksmiths.